Immerse yourself in the transformative power of yoga and take your practice to the next level with our 200 hour yoga teacher training in Rishikesh at Rishikesh Yog Mandir. Join our next program begins in February. We want to welcome you to deepen your study at Rishikesh Yog Mandir. Come join us ! Be a part of the magic our upcoming 200 hour yoga teacher training is approaching, offering you the chance of a lifetime to transform your world. 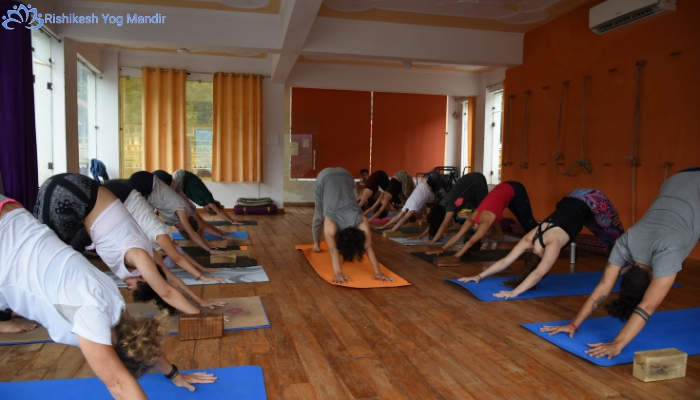 200 hour yoga teacher training in Rishikesh offered by Rishikesh Yog Mandir is an intensive Yoga teacher training in Rishikesh designed to match the requirements of all inspired Yoga aspirants who are willing to plunge deeper and gain in depth understanding of an ancient technology for well being known as Yoga. COURSE DATE : Course started 14th of every month.